After all the above process is completed software is available for use. 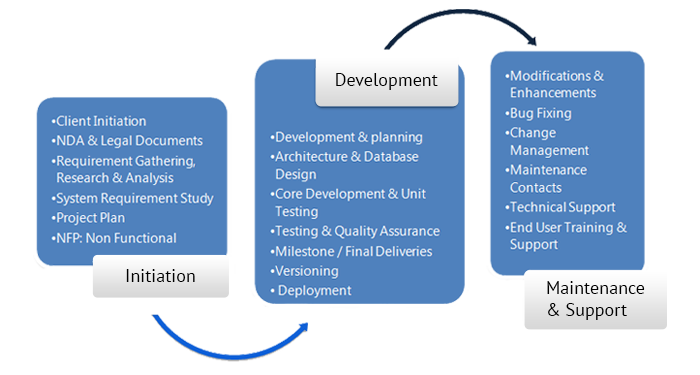 All the Deployment activities are conducted such as release, install, activate, deactivate, adaptation, update, version tracking, un-install etc. Change is the nature of life… Same thing applies with Information technology. New advanced updated technologies are in market. Our team of technical experts keeps them updated to provide the best solutions for the customers. New changes are applied in the product to provide customer with the safest solutions.